Engineered wood flooring is made with a factory-finished top layer of hardwood -- typically 1/16th to 1/8 of an inch thick -- over a base of either plywood or high-density fiberboard. Some types of this flooring are designed to be glued down, a job best left to a pro, while others are floated and use a click-and-lock system that experienced do-it-yourselfers can handle. 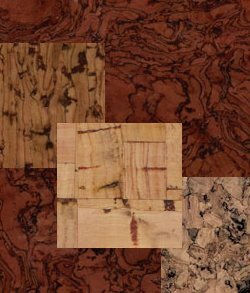 A well-known maker of countertop products, Formica also offers a diverse line of laminate flooring in many styles and colors. The company's flooring site is devoted to showing off its products to homeowners and builders. The site includes installation guides, maintenance tips and more. For more than 100 years, this New Hampshire company has been supplying cork products, from stoppers to floor tiles and planks to floating floors and sheet cork.